Key Fund’s Northern Impact Fund invested in a therapy and counselling service in Greater Manchester to help with its working capital costs, and support sustainability and growth. 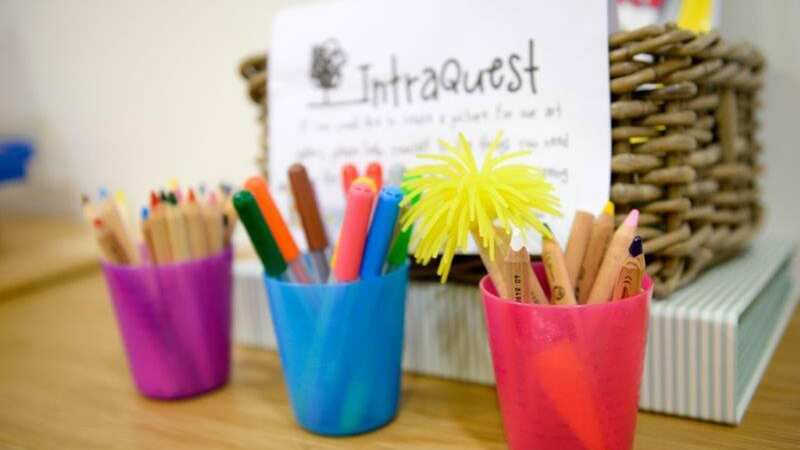 IntraQuest operates under two entities: IntraQuest Training is a Limited business that offers training to professionals in the sector, such as social workers and the police; IntraQuest Community CIC is the charitable arm. It delivers accessible and affordable therapy directly to children, young people and adults. IntraQuest is the result of a remarkable story of two women inspired by their own personal challenges, and the belief that change, hope and transformation can happen. Working as a key worker on a residential course, Jennifer Westwood met Karen Keates, an ex-addict, who had signed up to a six-month development course. Jennifer felt she couldn’t work with Karen as she was just too challenging. She asked if another key worker could replace her, but there was no-one available. It began a period of self-reflection for Jennifer, a catalyst to put in perspective her own past and difficulties, and move forwards. After the course, they went their separate ways. Jennifer went to university to build her qualifications working with children, but for Karen everything plummeted. The pair met up again. Karen had difficult bouts – time in prison – and doctors told her she had damaged her brain with drugs and alcohol, so much so, she should forget about ever studying. She began to fight the system, took up voluntary work, and said, ‘I can do this.’ She went on to gain a degree in person-centred counselling and a postgrad in cognitive behaviour therapy. When Jennifer was made redundant three years ago as a trained children’s therapist, specialising in play therapy, she decided to use her 7 years of training and take the plunge to run her own business. Setting up as a sole trader, she worked mainly with children struggling behaviourally in primary schools. Business began to grow. Karen came on board and delivered training sessions to sector workers. In January 2014, they set up IntraQuest Training and IntraQuest Community, to cater to these two strands. They recruited Neil Lewis, a CIPD Learning & Development professional with a career in Blue Chip companies, after Jennifer wanted to find a qualified Myers Briggs Type Indicator practitioner. Neil was volunteering for a local children’s bereavement charity after being made redundant, and experiencing loss in his own life. He added a new heartbeat to the company, with his commercial acumen. In 2015, they took on a centre in a converted mill, with their own therapy room, family room, training suite and admin hub. They didn’t anticipate the cost, alongside juggling two company structures and a delay in payments from the council, hitting cash-flow. Key Fund invested a £16,600k loan and £3,400 grant from its Northern Impact Fund to help working capital costs and grow turnover. The CIC is now self-sufficient. Their ambition is to expand and become a one-stop shop for holistic therapy, with medical consultants and specialists. Substance misuse in young people has increased steadily in the last three years. There is anecdotal data suggesting Children and Adolescent Mental Health Services need to make more referrals to private organisations due to budget cuts, as more councils outsource specialist support. Mental illness impacts on physical health, educational and work prospects and increases the chance of crime. As well as personal costs to families, there’s a high cost to society. The team has grown to include a project co-ordinator, two children’s therapist and an associate adult therapist. They see maximum 20 families per week.